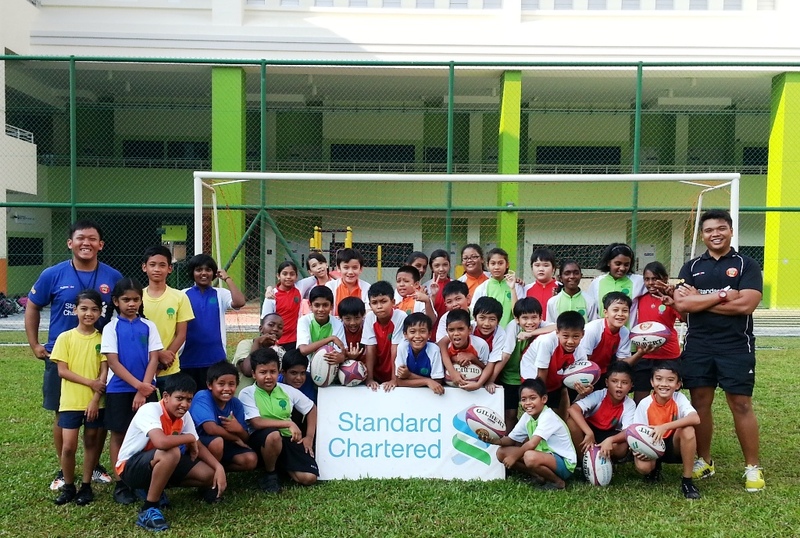 The sessions were led by Rugby Development Officer(s) Ashraf Nasser and Gaspar Tan and with the help of our SRU Staff Bob Liu, who went down for the sessions at the school. The Programme was conducted for the Fun Fit students in the school. A total of 28 students, mixture of boys and girls, participated in the 2 session. They were taught on the introduction to tag rugby, passing, catching and game play of tag rugby which they will be applying to in the upcoming Standard Chartered Bank Tag Rugby Carnival on the 26th of April 2013. 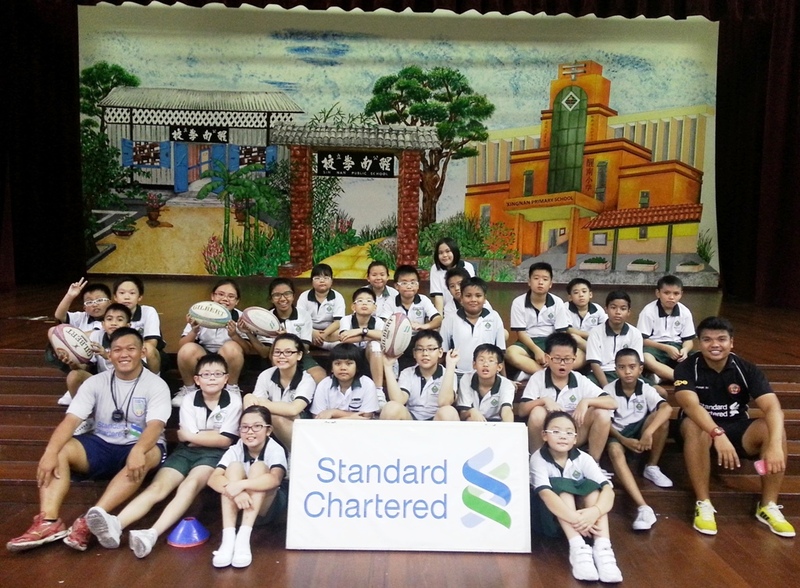 We are very grateful and would like to thank both the school, Xingnan Primary School and Mr Syed, teacher in charge, for giving us the opportunity to share the knowledge of rugby to the students. *This Rugby Starter Programme is entirely free and no coaching fees are needed for this programme. Objective of this programme is to introduce TAG rugby to students and is for schools who are interested in exposing their students to rugby. The game of TAG rugby involves fundamental motor skills of running, passing and catching, and is modified as such there is no contact involved in this game, both female and male student can participate in this programme. For more details please email gaspartan@sru.org.sg / ashrafnasser@sru.org.sg / suhaimiamran@sru.org.sg.